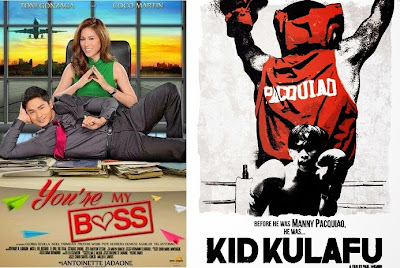 Toni Gonzaga and Coco Martin's movie 'You're My Boss' hits theaters April 4, 2015, while director Paul Soriano, Toni's fiancé, also has a movie coming up this April, the Manny Pacquiao biopic 'Kid Kulafu', which he directed, opening 11 days after that of Toni-Coco movie. I know many are highly anticipating the release of 2 guaranteed blockbuster Hollywood films next month: 'Furious 7' on April 4th and 'Avengers: Age of Ultron' on April 22nd. But would it be nice if we show support first to equally awesome local films, which are also showing this April? Opening on the same day as 'Furious 7' is the Toni-Coco movie 'You're My Boss', directed by Antoinette Jadaone under Star Cinema. After two critically-acclaimed "Graded A" films 'Relaks, It's Just Pag-ibig' and 'That Thing Called Tadhana', the latter even grossed a total of P134-million, I am fairly sure that Jadaone will make another entertaining A-level film out of 'You're My Boss'. The teaser trailer alone excites many rom-com flick lovers out there, whether they're a fan or not of Toni and Coco, who are pairing up on the big screen for the very first time. 'Kid Kulafu', on the other hand, which is a movie about Manny Pacquiao's humble beginnings before he became the world famous boxer that he is now, has been buzzing already since last quarter of 2014, and finally, it has a playdate - April 15 - 11 days after 'You're My Boss'. It happens to be under the direction of Toni Gonzaga's boyfriend Paul Soriano and also under the latter's production outfit, Ten 17 Productions, with Star Cinema as distributor. 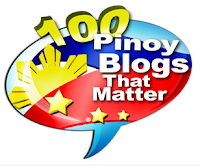 Leading the cast are Robert "Buboy" Villar as young Manny Pacquiao, Alessandra de Rossi as Dionisia Pacquiao and Cesar Montano as Pacquiao's uncle. Direk Paul has already developed himself into a brilliant filmmaker, with his masterpieces 'Thelma' and 'Transit', the former even won in international film festivals and the latter was the Philippines' official entry to the 86th Academy Awards' Best Foreign Language Film category. Now, I'm looking forward to see 'Kid Kulafu'. He won't disappoint us. It's in perfect timing that the inspiring film about Manny Pacquiao will be opening 2 weeks ahead of the world's biggest boxing event in history, the Manny Pacquiao vs Floyd Mayweather Jr fight, on May 2. Both going to be released this April, 'You're My Boss' starring Toni Gonzaga and 'Kid Kulafu' directed by Paul Soriano will be their respective last movies before they get married.